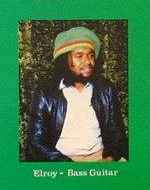 Reggae artist, former bass player for Black Slate and session musician. Born in Hackney, London UK to parents from St Vincent W.I. Died in 2018.